» Episode Guide » Viewing Episode: 黄金のコイキングを釣り上げろ! 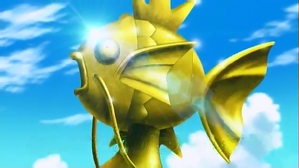 !/Fish the Golden Koiking!! Time to Debut! PokéVision with Serena and Fokko!! The Aurora Bond! Amarus and Amaruruga!! Pokévision of Things to Come!